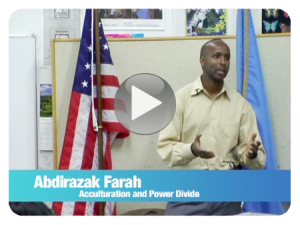 The Somali Diaspora has brought about many changes and challenges. 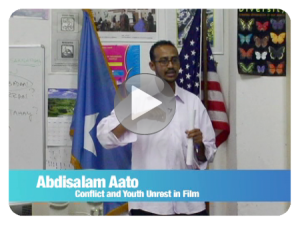 Presenters discuss evolving Somali identities, clan in the classroom, the different experiences of Somalis around the world, and popular beliefs about Somali pirates, jihadists, and nation-state. 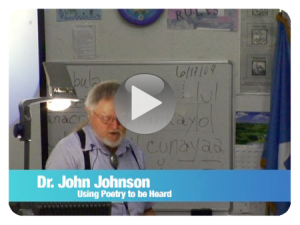 Language is central to social life and education. 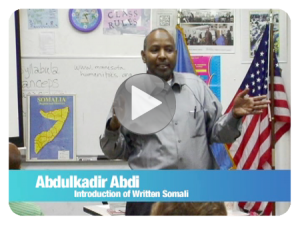 Presenters discuss the Somali writing system, pronunciation of Somali, language diversity among Somalis, and Somali students who need English as a second language support. 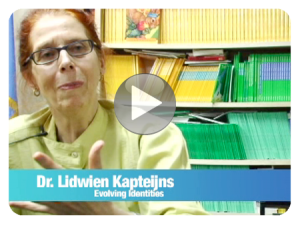 Somali identity is complex and changing continuously over time and across contexts. Presenters discuss colonialism and clan identity, Islam, the development of Somali Bantu as a distinct identity, and the dual identities of Somali youth and children in the Diaspora.